A Global endurance network, right at your fingertips. We aim to empower you to be the best athlete you can be by giving you access to the world’s top endurance sport experts and a network of like-minded passionate athletes. 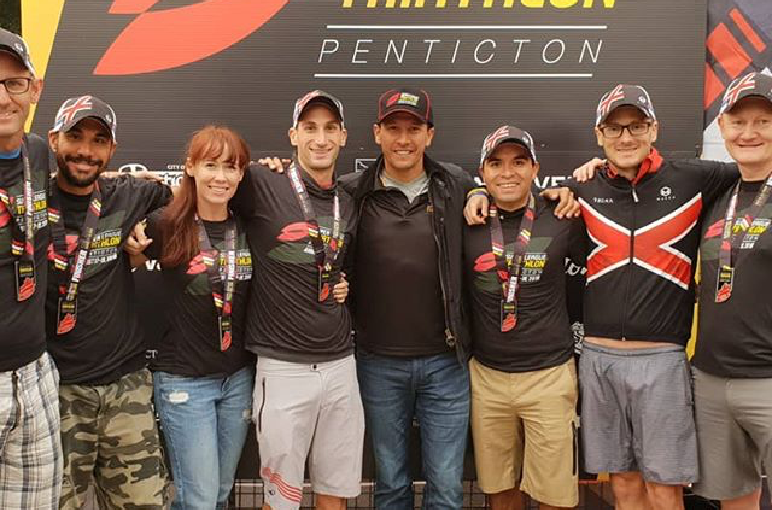 MX Endurance wants to make the world of triathlon and endurance sports a smaller place by connecting athletes and professionals from all over the world. Knowledge is power, and no single person has all the answers. As a World Champion triathlete, Chris McCormack relied heavily on a team of people to maximise his performance. His efforts to give age group athletes that same experience resulted in MX Endurance: access to a global network of athletes and experts to help make you the best athlete you can be! We believe in training smarter and maximizing your available resources. MX Endurance brings you access to the best experts and best practices around the world so you can use that information to help make you the best athlete . The world is a big place and endurance sports and triathlon can be lonely at the best of times. MX Endurance aims to make all of our members feel connected and part of a large global community coming together to be the best athletes that they can be. You can train virtually with athletes all over the world, compete alongside our members wherever you race and know that there is a network of like-minded athletes who will be able to help you reach your potential wherever you are. We have worked hard to connect some of the best professionals in triathlon and endurance sports, including physiotherapists, dietitians, strength and mobility, branding and mindset. We also have a core team of coaches who are there to support your athletic development. As members of MX Endurance you have access to our roster of experts and the ability to work with them on a one-on-one basis too if you want. Our coaches and experts will work hand-in-hand with you to tailor a program to your needs and abilities, helping you improve on your personal endurance journey so you can achieve your goals. Plans based on your ability, availability and goals completely personalised to you!